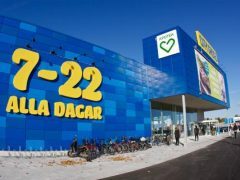 Coop’s former chain manager, Patrik Wirlén, returns to the grocery business by opening an independent grocery store for Matrebellerna – in the former Coop Extra store in Katrineholm. 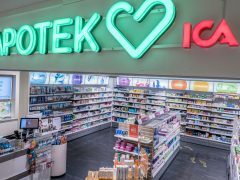 When Apotek Hjärtat will supplement the ICA in the sign, eight pharmacies located in competitor City Gross stores are excluded. “We will not change the signs on them,” says Ola Fernvall, Ica. The battle about C4 Shopping in Kristianstad will continue, Land and Environment Court considers that Fastighetsägarna Syd are entitled to have their appeal heard by the County Board. 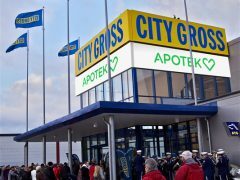 Citygross opened its 38th store on Wednesday and beat its previous opening records. At the same time, it was the start of a new retail park in Linköping. 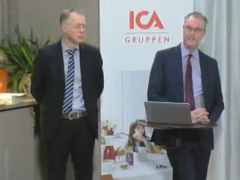 Coop’s bonusprogram is the most beneficial among Swedish food chains. This according to a research that Testfakta has made – on Coops behalf. Sales rose by 5,9 percent within the Bergendahl Group during the second quarter (Like-for-like 3,4 percent).